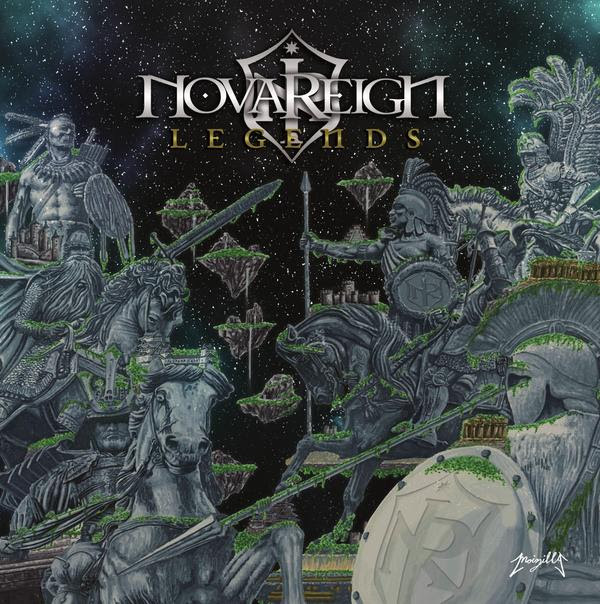 Home News News: Novareign - "Legends" release date + song premiere! News: Novareign - "Legends" release date + song premiere! M-Theory Audio sets February 16th, 2018 as official release date for Novareign long-awaited debut album "Legends"! Progressive Power Metal from Southern California! First track from album premiere launched now! Pre-orders launched - https://www.m-theoryaudio.com/store ! For those in the know, Southern California’s Novareign have been steadily and surely building a buzz and reputation for themselves in recent years. The group has become a fixture with energy-abounding live shows filled with nonstop shredding guitar interplay and powerful traditional metal vocals. Having honed their attack and lineup, the band are now ready to march forth internationally Feb. 16th with their debut full-length, Legends, an hour-plus of shred-tastic, over-the-top, epic power and progressive metal. Legends will be released on CD and digitally and is already available for pre-order from the label’s WEBSHOP. Recently Novareign was a finalist in the battle to get a spot on this year’s Knotfest Meets Ozzfest, and in January they will support White Wizzard on a run of U.S. dates.